We’ve never been more reliant on a decent mobile or broadband connection. For many, these connections are a lifeline; the only means of reaching relatives or accessing care and support. Millions of us are potentially wasting hundreds of pounds a year by remaining loyal to our broadband provider, according to our new research. So when did you last switch provider? In a Which? campaign win, broadband companies are being forced to drop the unrealistic up to speeds they advertise following rule changes. Are we ready for 5G mobile internet? Phone manufacturers are gearing up to release the world’s first 5G-capable smartphone. But with large parts of the UK still lacking reliable 4G, how excited should we be? 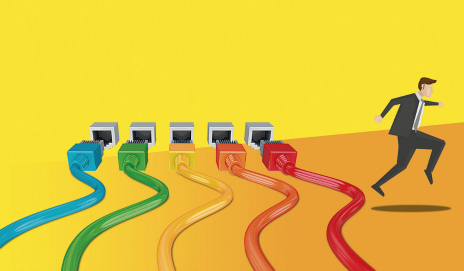 Does more need to be done on broadband advertising? Flawedband: are you happy with your broadband service? Our latest research shows over half of households have had a problem with their broadband service in the last year alone. Are you one of them? How will the broadband code of practice help you? Update: how do broadband providers get away with ‘up to’ speed advertising? Imagine walking into a pub this weekend ordering a pint and the barman saying he’ll pour you ‘up to’ a full pint. Or buying train tickets from London to Newcastle – that might only take you to York or Doncaster.